Summer is here. And the fact that school is out paves the way for some activities that usually isn't done during the regular semester. Cookouts, for example. My friends have been inviting me to cookouts and dinners at least once a week. Most of the time, this is potluck, but also, most of the time, all the courses are taken care of, and since I do not mind washing the dishes, that's usually my contribution. Last Friday, we had a barbecue dinner at a friend's house. It was rather filling. And yesterday, we had a 1950's South Carolinian dinner, because most of the food was made with recipes from my other friend's grandmother, who comes from South Carolina. These two instances were rather interesting. I kinda realized a couple of things while I was with my friends. First, that I think that I am not a big fan of micro-brewed beer. I only drink socially, never would one catch me drinking by myself (well, except when I was on holiday, when I enjoyed Peru's own Pisco Sour). Well, when I was in the Czech Republic, I enjoyed their beer, substituting it for water whenever I was hot and walking around (which brings to mind a shirt I saw the other day, it said "Save Water. Drink Beer"). I like Guinness but I find it too thick sometimes. Corona is nice, since one drinks it normally with a slice of lime. However, here in Upstate New York, there are a number of local brands, most of them I have only seen here. It is ok to try, but sometimes I don't like it. Such as one called "Ithaca" apparently brewed in Ithaca, New York. It was bitter. I didn't like it. I rather drink soda than that. Second, I found out that I am an atypical Asian. Well, perhaps, this was already known, but it was just reinforced to me recently. When we had the barbecue dinner, I was the only non-American there. I have a German friend, and she usually comes too, but on this occasion, there were only locals in the occasion. And they were talking about the Asian people in the university, about how very secluded they were, and about how they acted rather anti-social. To which they interpreted that it was a case of culture shock. I blurted out that I am Asian, and yet I do not act the way they described the other Asians. To which they said that I am an atypical Asian. Perhaps that is true. I don't consider myself Asian anyway. I guess the fact that I have spent half of my life overseas, outside of the Philippines, is a major factor. The fact that my passport says that I am a citizen of the Philippines may just be an accident. So there, those were a couple of thoughts that I had the past few days. I finished my novel about a spy in some undisclosed country, and it was a blast reading that. I finished that within a week. 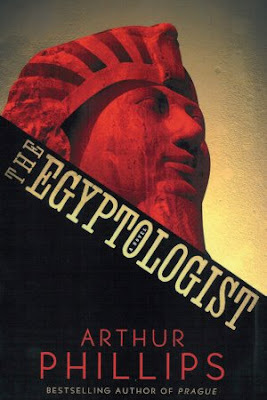 So, I returned that book and now, I am reading a historical novel, entitled The Egyptologist, by Arthur Phillips. It is a novel in journal format, every chapter is either a diary entry or a letter. Reminds me of how Dracula was written. Oh, a third realization. It seems that it is rare to find someone who actually finished reading James Joyce's Ulysses. Yesterday, at the dinner party, there was one there, he was Romanian-American, and he finished the book, and is actually a fan of it. He knows every chapter, and about what happens to Leopold Bloom in every chapter. Another guest remarked that she finds it amazing to have two people in the room (me and the Romanian-American guy) who finished reading the book. Well, I told her, it took me 7 months to finish the whole thing. Now why am I mentioning Ulysses and James Joyce? Well, tomorrow is Bloomsday, June 16. Well, just so you know, the whole thick book of Ulysses happens in one day, June 16, 1904. It is not my most favorite book, but I have to admit, that there are episodes in the book that I find amusing. I guess I find it amusing enough to refer to it in a number of my posts here in the blog, that people may think that it is my favorite book. No, I have a different favorite book, not this one. So there, this is getting long, so I better stop here for now.